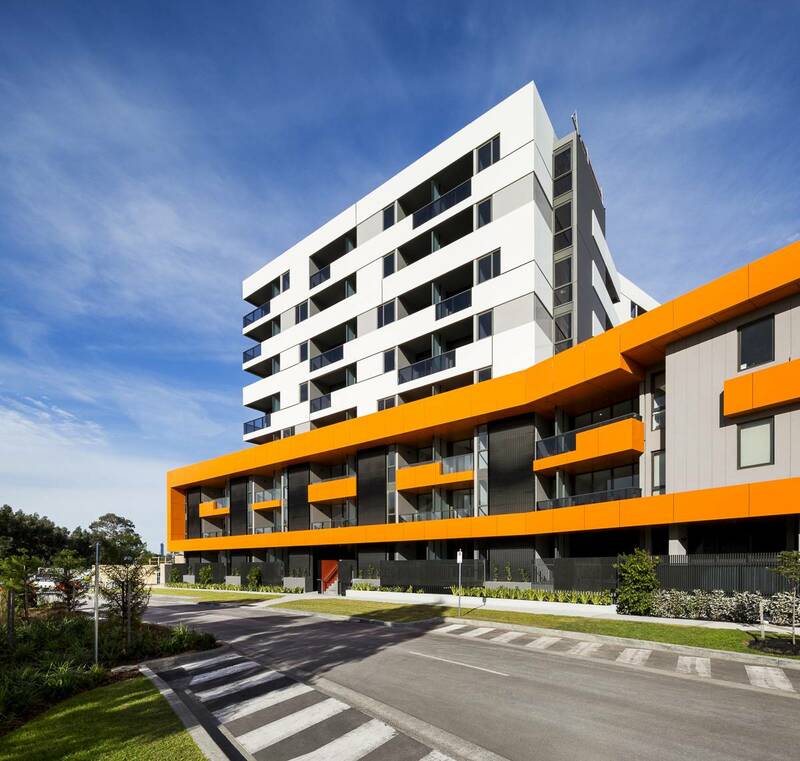 We are pleased to announce that Parkville Stage 6 has been completed 2 months ahead of schedule. We thank the Village Park Consortium (Frasers Property & Citta Property Group) for the opportunity to deliver this project. Stage 6 consists of 91 residential apartments over an undercroft parking area. It has been seamlessly joined to the previously completed Stage 5 building on the northern side and links to the 14 storey Stage 7 building that we have under construction. The finished building has a striking facade with splayed precast at the upper levels providing an interesting construction challenge for the site team. A key project requirement, due to the proximity of the Tullamarine Freeway, was the acoustic performance of the facade. We worked closely with the acoustic consultant to develop the detailing of the windows & doors and testing on completion verified that this approach had been successful and complied with all requirements.